(I was writing another essay today and found myself going off on a rant about the term “silvopasture.” I decided to remove it from my essay and make it a new post…so here you go). For close to a decade of my life, I was either a student of forestry or a forester throughout the US and Germany. I studied and worked in a variety of forested environments, and eventually made the transition from forestry to horticulture. The two realms, forestry and horticulture, originally came together for me was when I started learning about the lesser-known tree and plant species which produce medicinals and food within the forest and forest edge. I became quite good at foraging for food and medicinals while on the job and the idea of managing a piece of property for fruits and nuts became much more exciting to me than managing for timber. The transition from forester to horticulturalist began when I started to transition from forager to farmer; from forest to orchard. An orchard is an intentional planting of trees or shrubs that is maintained for food production. Orchards comprise fruit, vegetable, and nut-producing trees which are grown for commercial production. Orchards are also sometimes a feature of large gardens, where they serve an aesthetic as well as a productive purpose. Silva in latin means forest or woods. Pasture comes from the latin Pastura, meaning feeding or grazing. Together, you get grazing/feeding in forest or woods. When I first heard the term “Silvopasture,” I assumed it was the act of thinning or planting a forest for timber/firewood and beef/pork/mutton/poultry, etc production. And in some cases, it is. But I have to address the other cases where silvopasture has become a term for planting fruit and nut trees on a pasture for some form of commercial fruit and nut production and introducing animals to the scene. An intentional planting of fruit and nut trees is an orchard. For centuries, people have grazed their animals through their orchards because it makes complete and total sense on a practical level. Animals are an integral part of management in my opinion and weird health fears and scaling up are likely to blame for the elimination of grazing. In the rest of the world, though, animals are still in orchards and it isn’t called silvopasture. 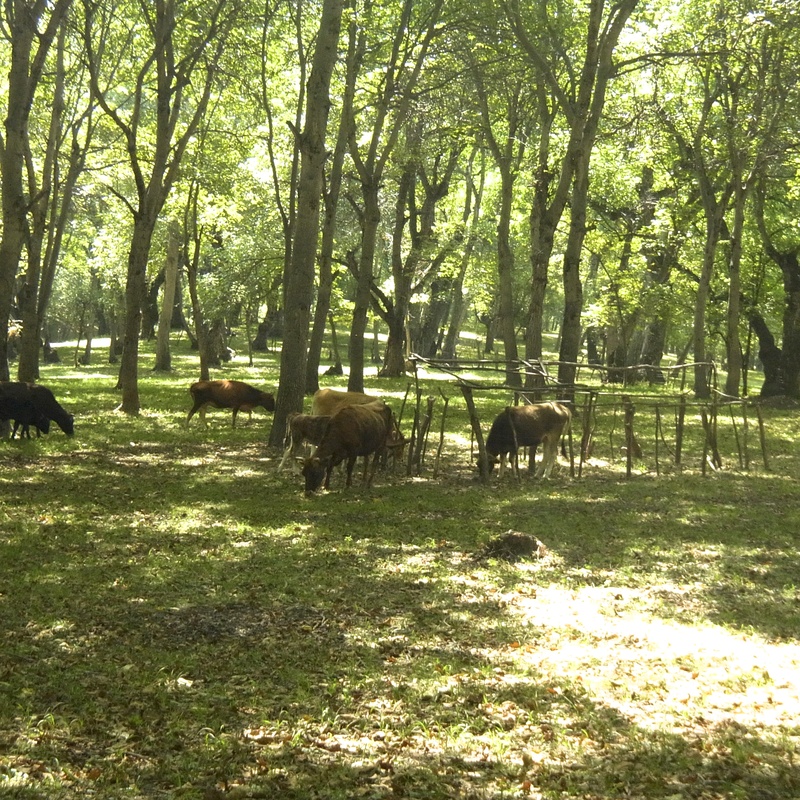 Here’s a recent photo-example from Kyrgyzstan: A dwarf apple orchard with beasts in it. Both of these systems pictured manage for a tree crop and a meat crop (and grass crops). No timber will come out of these systems, and prunings take the place of coppice wood (which could be used as firewood). (Note to self: Pruning vs Coppicing is an interesting topic to revisit in a future essay). How very American of us to first remove animals from orchards on account of scale and fear, and then put them back in and rename the system. My dislike of the name silvopasture isn’t just in the semantics, though… This renaming thing we Americans do is directing people away from sources of valuable information. Information like how to grow these trees for tree crops on a moreso commercial scale is a practice studied in horticulture rather than in forestry. Though it’s nice to have feet planted in both realms, the difference is important! I know, because I’ve worked and studied in both. If you want to pursue growing fruit and nut trees in a field/pasture for the commercial harvest of fruits and nuts while also incorporating animals into your management and income stream, try search terms like “orchard grazing” or “hogs in apple orchards” or “cows in cherry orchards,” etc. With this knowledge, you’ll likely get a lot more out of your time spent on google, like THIS. However, I did see it worded in the UK as “Silvopastoral Orchard Agroforestry,” which is totally fine because all of the descriptors and origins are there. Over the last few years, I’ve watched and read of many people who have put in highly diversified, large scale orchards in the name of creating a commercial-scale food forest (or something to that extent). By “highly diversified,” I’m talking chestnuts, apples, grapes, hazelnuts, persimmons, paw paw, sea buckthorn, lonicera, black locust, etc. Some people call it “Agroforestry” while others are calling it “Silvopasture,” yet both of those systems traditionally involve the harvest of timber crops rather than fruit and nut harvests. The difference between a timber crop and a fruit crop is HUGE when it comes to planning out a landscape, and this difference alone is why I am predicting the economic hard times of many broad-acre permaculture farms. Employing some basic horticultural/orcharding knowledge to repair what has been overlooked is necessary in order to progress and evolve into a better agricultural system. This blog post is designed to air out my concerns and get people thinking about these overlooked topics in order to bring about faster innovation and success. Note: This blog post is intended for future and potential commercial growers. Not homesteaders. The reason why I’m predicting hard times? It’s called heterozygosity: Plants grown from seed may not exactly duplicate the characteristics of its parents. What does this mean? Well, let’s use apples as an extreme example… When you eat a red delicious apple and then plant the seeds, you will not get a red delicious apple tree. In fact, if you plant the seeds from a red delicious, its offspring will produce entirely random results and you’ll likely get something very far from the looks and taste of red delicious. The apple might be green and tiny with a sour taste, or orange and triangular shaped with tastes of honey. The variability is huge, and that’s why we graft. Grafting is basically a form of cloning and every single red delicious apple tree grown in the world comes from the genetics of one single tree. (I’m not going to get into “sports” in this conversation). Diversity fuels sustainability and is a basic tenant of ecology, so planting out row upon row of the same grafted tree variety is not seen as a very ecologically-minded process. In fact, as we continue to graft the same thing over and over again (Just yesterday, I learned that 60% of all apple trees planted in New York State are Macintosh), we are hindering any co-evolution for disease and pest resistance and we growers become more reliant on chemicals to produce a crop as nature evolves around us and becomes increasingly resistant to what we throw at her. The genetic characteristic of heterozygosity found in varying degrees across many, many tree crops is allowing for a myriad of genetics that might stand up against the current coevolution of nature. In this light, many permaculturalists are advocating planting trees from seed in order to select for a diversity of genetics that will work with your site, climate, etc because that is one of the only ways we’ll create a truly healthy and sustainable agricultural system. Yet, this is agriculture and those of us farmers heading towards growing perennials on a commercial scale need to make a living doing this. Like, a living off the crops…not off of classes, workshops, speaking engagements, etc. So, what’s the problem in growing food-tree crops from seed on a massive scale? Heterozygosity. You see, though you’re selecting for better genetics, you are also opening yourself up to a bunch of other unknowns about the tree…like when these fruits and nuts will actually ripen. In the case of apples, your ripening/harvesting window in certain areas can run between June and October. That’s a 4 month-long period! Now, imagine that you just planted thousands of trees across broad acreage without paying ANY attention to when your crops will ripen. Imagine trying to harvest those crops with any sort of efficiency. Hint: It’s nearly impossible unless you have a huge crew of free labor. And according to the Department of Labor, once your free labor has the skills to competently do a task, they must be paid minimum wage (or else you are breaking the law). I once managed a 5 acre orchard with over 100 varieties of apples. These varieties were planted in a patch-work style across the orchard without much sense or order. During harvest, apples were ripening across the entire orchard rather than row-by-row and when I left that orchard, I learned to always clump varieties together that will ripen at the same time (or close). In doing this, you’ll save money in harvest costs, sanity, and also be able to actually provide a merchantable crop other than renting out your rows to finish your animals/other’s animals on an absurd amount of nuts and fruits. 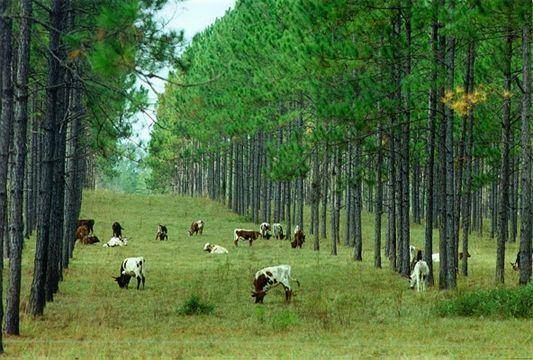 In regular agroforestry or silvopasture systems, you are harvesting timber in addition to growing alley crops or livestock. Trees can grow at different rates, but if you planted them all at the same time, there’s a good chance you’ll be able to harvest them at the same time. That sort of planning ahead for timber crops should not be applied to tree-food crops and we need to stop pretending like it can. This is a fact: If you plant trees with intention of harvesting their fruit/nut crops for markets/value added without a harvest plan, you will be screwed when they come into bearing. In Central Asia, edible”silvopasture” (harvesting apple/walnut trees for timber/firewood is illegal) is an integral part of their apple and walnut harvest. 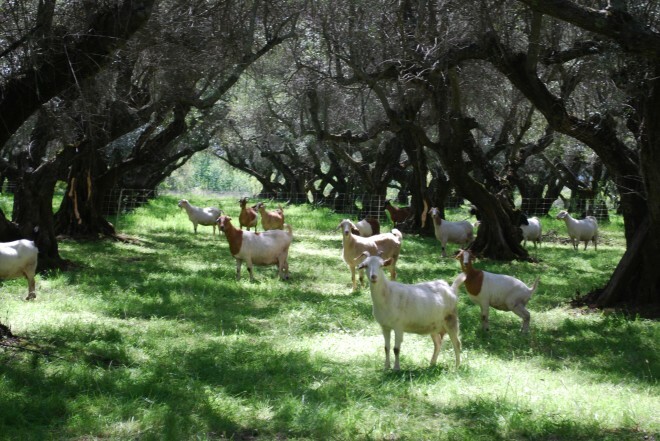 The basal area (term used to describe the average amount of an acre occupied by tree stems) of the apple and walnut trees in the forest allows for healthy pasture underneath the trees where livestock are grazed before and after the harvest. The results: You get an apple crop (home processing), a walnut crop (one of few ways to make money there), meat and milk products from livestock (to feed your family) AND the livestock are cleaning up the pre-harvest drops (usually full of pests), keeping the grass low for actual harvest off the ground, and eating the post-harvest drops/leaves (to get rid of pest and disease). These forests are rather broad-acre (thousands of acres) and are broken into parcels which people lease. Walnuts and apples don’t ripen uniformly within these forests, so having these small parcels leased to families ensures a complete harvest because their livelihoods depend on it. Planning out a broad-acre planting of anything? Farmers, regenerative agriculture designers and permaculture designers heed warning. It is very important to have your rows timed according to harvest if you or your client intends on making any money off the system. Stefan Sobkowiak of Miracle Farms has done a wonderful job of this in his permaculture orchard which has allowed for people to go in and pick a variety of different fruits from a single row. In the coming weeks, the rows change to account for ripening. He’s not on a broad-acre scale just yet and has integrated u-pick into his business plan, but it’s the same type of thinking needed for broad-acre perennial plantings. I’ve seen a lot of pictures of a vast diversity of trees planted on contour swales, keyline, terraces, etc. People wanting to incorporate livestock into the mix have these grand visions of running livestock row by row to create fruit/nut finished meat. Now, wouldn’t that be nice if everything in that row ripened at the same time so you’d only have to send your livestock down that row once after harvest? You can also add some extra value to the scenario by listing off specific varieties (which have stories) that went into this meat. That’s efficiency and truly forward thinking and planning. It’s where permaculture and regenerative ag needs to be. Some of you reading this might have this feeling of dread because you just planted out a acres of extreme, unharvestable chaos. If you leave your landscape be, you won’t end up with the commercial perennial agricultural system you sent out to create that talks bushels per acre, yields, and everything else an investor or someone replicating your model should ask about. Instead, you’ll likely end up with a food forest preserve that you might be better off treating in the same fashion as those in Central Asia. The model of having others come in and lease parcels of your food forest to harvest isn’t a bad idea either. Perhaps some will consider this as a future model. I’m interested in creating and using low-input management techniques to grow fruit and nuts in an ecologically savvy way that will change the face of current agriculture. I’m interested in bushels per acre, harvest efficiency, timing. When a corn-grown kid from the FFA wants to know bushel numbers and pricing for these agriculture systems, I want people to be able to present a serious and factual case for him or her to consider changing over. How do you fix and prevent this? 1.) How many bushels per acre of (insert crop) do you anticipate for harvest once this system is mature? 2.) Will these trees be planted in a way that will allow for a streamlined harvest rather than a hunt-n-peck scenario? 3.) What varieties of these fruits and nuts are you thinking of? Can you please give me harvest dates for these varieties in my area (or extrapolate)? 1.) Start your research on ripening times for varieties/band your research with others/hire a consultant who can give you this information. Try to procure scionwood from people who have harvest information. 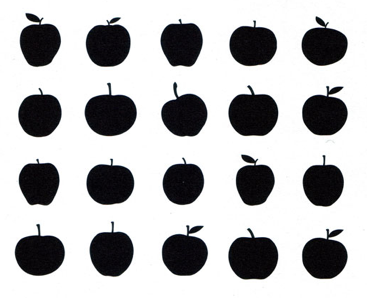 There are 7500+ known varieties of apples out there. How much do you want to bet that a couple hundred of them ripen at the same time? 2.) Learn how to top-work or hire someone who is an expert to do it for you once you’ve found varieties suitable for your layout. Or, if you already have trees producing in a haphazard pattern on your landscape, start taking notes of when each tree is ripe and be prepared to top work them into a pattern that makes some harvesting sense. 3.) Planting from seed? Start reading up and learning about true plant propagation and breeding. You can get a good idea of what to plant out from your nurseryin a few year’s time with conscious breeding and innovative techniques. 4.) Encourage and support nurseries and individuals to venture off the beaten path and start really breeding/fruit exploring for low-input management techniques. Support their taking of notes. 5.) Don’t balk at these plant breeders for patenting a plant/tree which they’ve put many hours, dollars (from their own pockets) and observations into in order to improve the agricultural system. That’s the cost of innovation. Heck, universities are doing it on tax-payer dollars.